1. Buy disposable booties for movers if it rains during your move – this could save money getting carpets cleaned. This is especially true if you are moving into a newly constructed building where the landscaping hasn’t been finished. 2. Schedule your move for off dates mid-week. The beginning, middle and end of the month are usually very expensive and book early. Plan for a weekday from the 7th-12th or 19th to 24th for the best rates. 3. Don’t pay for moving insurance if you already are covered through homeowners insurance – you will have to call and check your policy. 4 Donating your items to Salvation Army or other non-profits will reduce moving costs and provide you with a tax-deductible receipt which will save you money during tax season. 5. 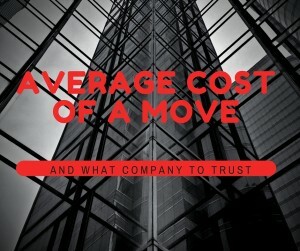 Using a moving calculator, get your weight and negotiate the best moving company rates. 6. 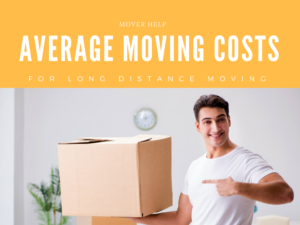 When moving long distance, you have to consider if your items are worth shipping – for example if your mover charges $.80/pound to move from NYC to Miami – a 200 pound table is going to cost $160. You may be able to get a new IKEA table in Miami rather than pay for shipping your old one. 7. Don’t pay for packing materials. You should be able to find slightly used boxes on craigslist, liquor stores, big box stores like Costco, Walmart. 8. Move during the off-season. January-March are usually much less expensive than June-December. 9. If you are moving to/from a major city – think Boston, NYC, DC – steer clear of long distance movers who charge shuttle fees. A shuttle is a smaller truck that can get into smaller roads and on Manhattan – this can save thousands. 10. Ask your moving company to include any and all additional fees that may pop up. 11. When packing, use towels, socks, clothes to cushion breakables. 12. Pack vertically to save space and reduce chance of breaking dishes and items. 13. Make sure your movers provide free moving blankets. If they do charge for rentals, you can use your own blankets. 14. Get a flat rate moving price when you move. 15. 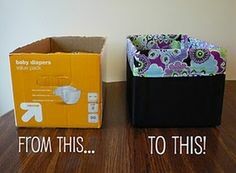 Nest smaller items in larger items to save moving boxes. 16. Consider buying see through plastic crates that you can reuse instead of boxes that will be thrown out. 17. Garage Sale – nuff said. 18. Enlist your friends instead of paying for moving labor if you are loading/offloading a shipment. 19. 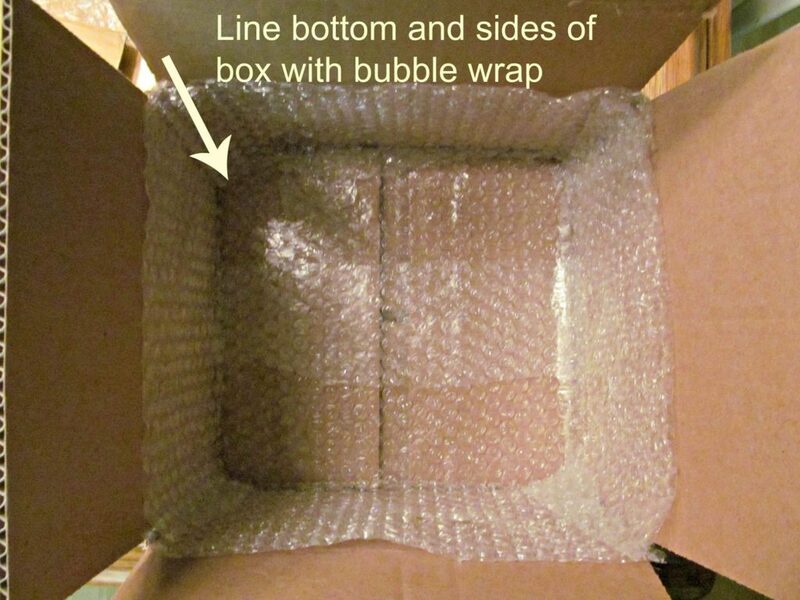 Dishes can be packed using packing paper – don’t pay for bubble wrap. 20. Pack all of own stuff. 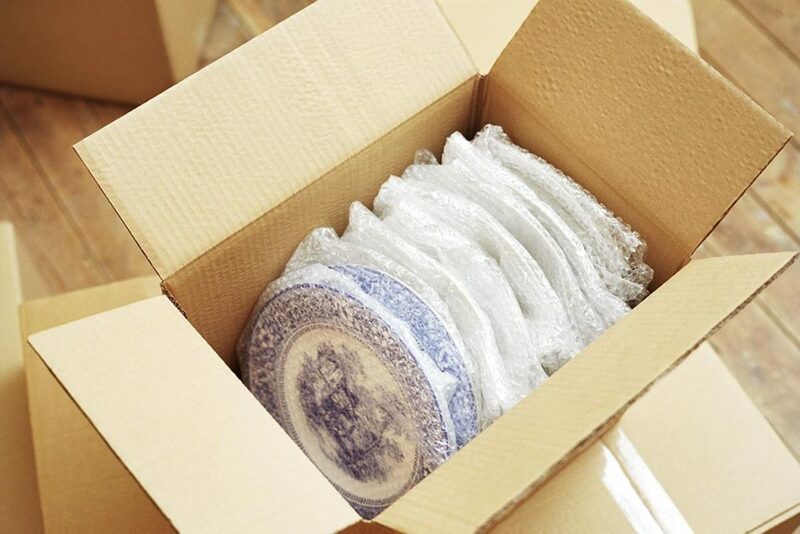 If you really cannot pack everything – leave anything expensive and annoying ( dishes and breakables) for your moving company since they are responsible for anything they pack. 21. If you need storage, find a facility that will give you a month free. 22. Make sure your movers will not charge for stairs or a long haul. 23. Organize your move – write down crucial steps to your move so you don’t forget any necessary steps. 24. Use a moving checklist to help you organize. 25. Consider shipping books via FED EX or USPS – it may be less expensive than paying heavy weight charges on long distance shipments. 26. For a local move, move over boxes and breakables yourself – hire movers to move big, heavy items that could injure you. 27. 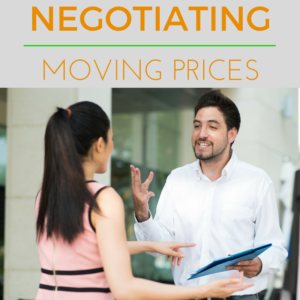 Negotiate moving fees – suggestions would be negotiating taxes, tolls, mileage or fuel fees. 28. 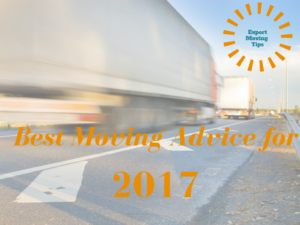 Make sure your movers have a flat rate for travel time – you don’t want to be paying for them to sit in a traffic jam – or worse hanging at the gas station. 31. Find movers who will keep your items on a truck if you need storage for a few days or overnight. You don’t want to pay for 2 moves. 32. Find movers who have their own storage facility just in case there is a last minute change. 33. Make sure storage fees are prorated – you don’t want to pay for an additional month if you are only there for a few days over. 34. Measure your furniture before moving it and know where it’s going – most local movers pay by the hour. Don’t pay for them to move furniture twice. 35. You can move non-perishable food. 36. Movers don’t move flammable materials including gas tanks for grills so make sure yours is empty or plan on moving it yourself. 37. For an extensive wine collection, hire professional movers and make sure it is insured. Many movers are not qualified and don’t understand the importance and proper packing procedures for wine and specialty materials. 38. If you are moving a piano, hire movers that move pianos as well. A private piano moving company can cost over $1000 for a same town piano move. If you hire movers that move pianos as well – they will be trained piano moves but will only charge around $350 for the same move. 39. 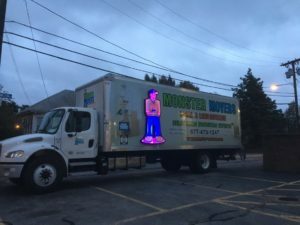 Most movers will do junk removal – but make sure they are not using the same trucks that they use for moving for junk removal or you could end up with unpleasant after effects. 40. Hire movers with clean trucks and that steam their moving blankets. 41. Hire movers that have their own trucks. 42. Make sure your movers have new trucks and change their fleet every 3-5 years max. There is nothing more costly than waiting for a broke-down truck. 43. Skip UHAUL – they will not reimburse for broken down trucks also if they don’t have a truck for your reservation – you’re out of luck. 44. Leave kids/pets at a family member or friends house during your move. 45. You may want to sell your house furnished – saving you and possibly the new buyer decorating and furniture fees. 46. Rental truck companies will usually price match other competitors – call the 800 number and check. 47. Make sure your movers know if they will need to hoist anything. If they don’t find out until that day, you may need to pay while you wait for other movers to come or you may need to wait until the next day if other movers aren’t available. 48. 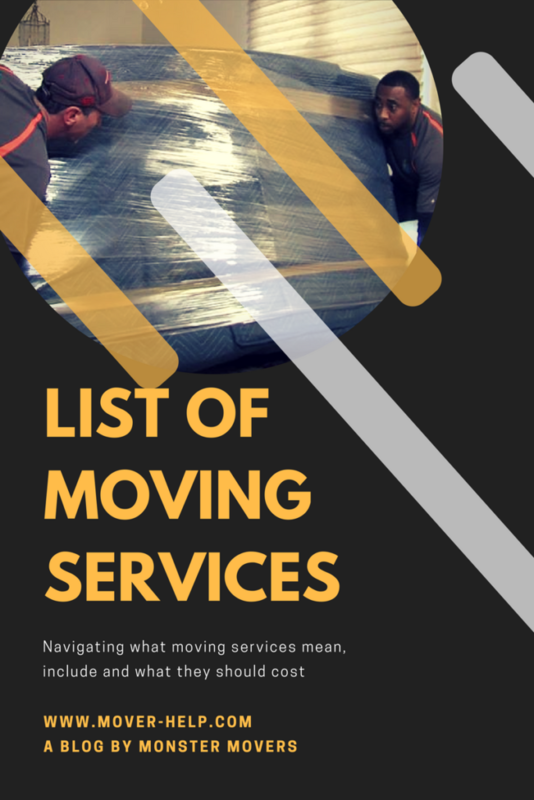 Find movers who have an online inventory so you can ensure you can input all your furniture so both parties are on the same page and you can be sure moving rates wont change. 49. When moving yourself, drive in off hours saving gas and time. 50. Movers are not responsible for IKEA or pressboard furniture – you really need to consider if it is worth it to move those pieces. 51. Sell your used furniture on craigslist or donate. 52. Optimize utility shut-down dates. Do this in advance – especially if moving out of state so you don’t have to pay for additional days. 53. Make sure your realtor/lawyer accounts for any oil leftover in a tank. 54. Instead of tipping your movers big bucks, consider purchasing a less expensive lunch or snacks and drinks which are usually more appreciated. 55. Appliances may not be worth it to move if they are older – especially if you are moving out of state. 56. Moving a hot tub is not possible to move in the winter if you live in the north. Plan this out in advance. 57. Consider moving yourself by renting a moving truck. 58. 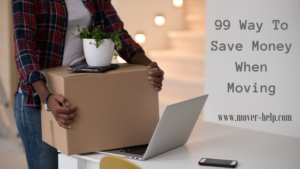 If you are looking for a discount moving company – you may want to check craigslist or angie’s list – these companies are not recommended if you have really nice stuff but they can usually handle a dorm or the like. 59. You may be able to find moving company coupons. Do a quick google search for the name of your moving company coupons. 60. Priceless antiques or other expensive items should never be entrusted to a moving company that doesn’t have a great reputation. 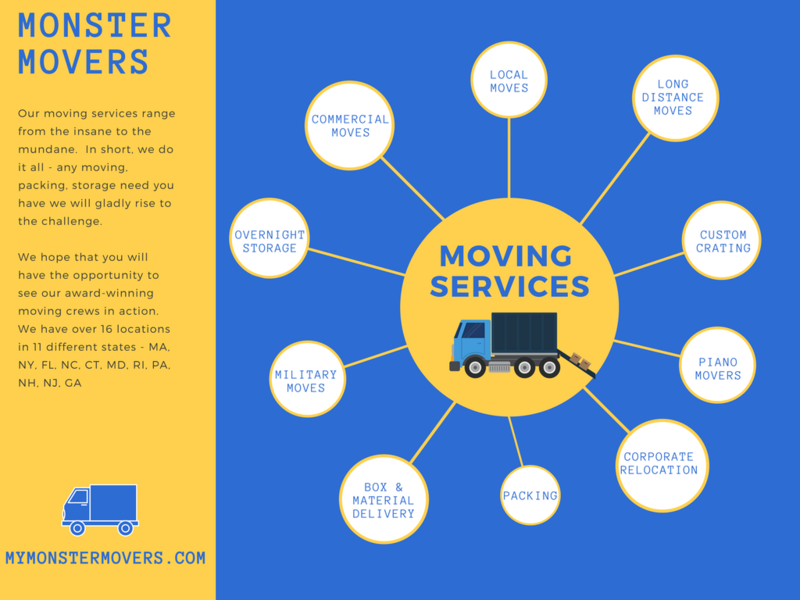 Seek out movers in your area that have won awards and are active in the community – these are usually the best moving companies. 61. Some moving companies offer veterans discounts as well as educator discounts. Most are only 5% off but if you are moving long distance and your move costs $5000+ – that could be a big savings! 62. 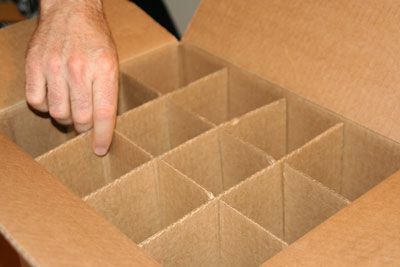 Save TV and computer boxes to use for your move – it is really expensive to get custom boxes for these items. 63. Save moving receipts -some moving expenses like realtor fees, etc may be tax deductible. 64. 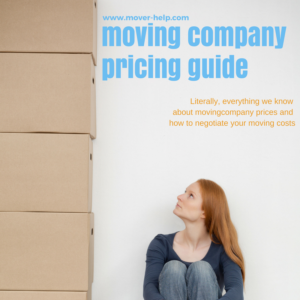 Hire a moving company that charges by weight – not square feet. Square feet depends on the way a shipment is loaded, weight is a true, factual measure of the items you are shipping. 65. Label boxes as you are packing so the movers place them in the right rooms at your new residence -this can save lots of time. As we all know, time is money. 66. Disassemble your furniture when you arrive. But remember, movers cannot put together what they take apart. This is especially true for baby cribs and bunk beds. 67. Swingsets and hot tubs cost a bundle to move. Strongly consider selling these items with you house. It just isn’t worth it to move these items. 68. 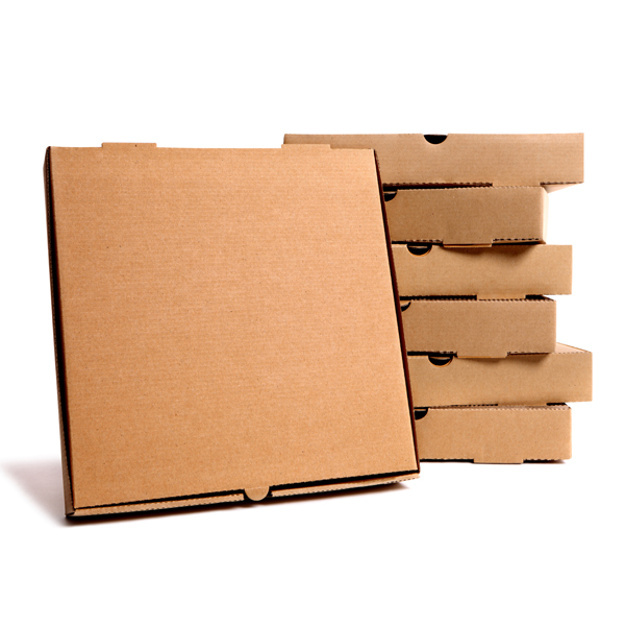 There is a box service called box buddy that recycles boxes – right now they will send 30 boxes for $90 – these prices are about 25% than your local mover but they do reuse which is earth-friendly. 69. Use coffee filters or Styrofoam plates in-between dishes. 70. Put hanging clothes in garbage bags – you can save money on wardrobe boxes. 71. 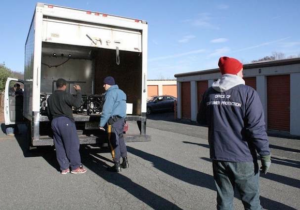 There are charities that will pick up your old, unwanted furniture for free. Some moving companies offer a free delivery of furniture to charities as well. 72. Some cities have utility concierges that will negotiate utility expenses to find the best deals for you. 73. Have any special tools ready for the movers. Moving companies usually have a basic set of tools including allen wrenches. However, if your furniture was purchased overseas there may be special tools that are needed to disassemble and reassembled. 74. Upcycle moving boxes to make them awesome. 75. Try not to close on the last day of the month. Sometimes there are delays in recording the property which will mean your items will have to stay on a truck overnight. Overnight fees should be about $150/night. 76. Take pictures of your space before you move in and after you leave in case there are landlord issues. 77. Use old toilet paper rolls to hold jewelry so it doesn’t get tangled en route. 78. If you are moving long distance, call a reputable mover in the city you are moving to. They can usually book at much lower rates because you would be a back-haul. 79. Basic moving coverage is always free – movers must award it to you. 80. Don’t trust a low-ball estimate – you pay for what you get and no truer words were ever spoken when this relates to moving costs. 81. You can leave fitted sheets on mattresses to protect them although your movers should put shrink wrap on them too. 82. Be precise with your moving company. Your estimate is only as accurate as you are. 83. Don’t pack liquids. You really don’t want spillage all over your items. 85. 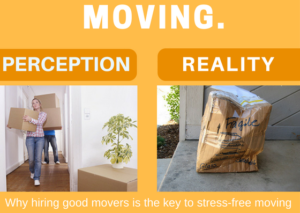 Use a moving company that won’t sell or barter or trade your move – make sure they do their own moves. 86. Make sure you get copies of weight tickets – any moving company can claim your shipment weighs a certain amount – make them prove it with copies. 87. Your moving company should give you a detailed inventory of the items you have moved – keep this with you. 88. Make a necessities bin which includes everything you need for your first night – toilet paper, cleaning products, sheets, clothes, medications, etc. 89. Portable storage isn’t all it’s cracked up to be – check the reviews. Also, they are very easy to break into. 90. Hire a safe, reliable moving company – you don’t want rogue movers showing up at your house. 91. Make sure your moving company CORI checks all crew members. 92. Have cold drinks on hand – everyone works better when hydrated. 93. Take a picture of your electronic cords or label them so you can remember what they go with. 94. Keep all screws, bolts and nuts in baggies so they don’t get mixed up with your shipment. 95. Check moving company reviews before hiring. Remember yelp reviews aren’t reliable as moving companies can pay for good reviews. Trust customer lobby or google. 96. Find the best questions and the answers your movers should have by using a compare movers worksheet handy. 97. When hiring packers make sure you are getting charged by hour instead of by the box. You will unpack to find three cups in one box…trust me. 98. If you have awkward items that don’t weigh a lot like kayaks or basketball nets – you may be charged a bulky item fee. See if your movers charge additional fees for bulky or unstackable items. 99. Make sure your moving company isn’t going to offload, reload or swap your shipment before delivery. Being frugal while moving can be a challenge. These tips are priceless and can help you navigate to a low-cost move. Homeowners Insurance policies vary completely so the first thing you need to do to see if your homeowners insurance covers moving damage is confirm with your agent. There is a huge disconnect between homeowners agents we have spoken to and the “google answer” as you will see below. 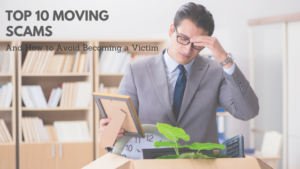 We have also added a section below on how to completely protect yourself from loss during moving. which we found google’s answer to be incorrect. In fact, homeowners insurance seems to be effective while your goods are in transit if there is a major catastrophe – fire, theft – that is when your homeowners insurance is activated. You are not covered if your moving company damages your furniture during moving. For example, if the legs of a table are damaged and the table cannot go back together, your homeowner’s insurance will not compensate you – you will have to file a claim with your moving company which you will find specific instructions below. Another consideration will be your deductible. Most homeowners insurance policies include a $1000 deductible. If you claim a computer or TV is stolen from your move – you may not be covered due to the fact that the item with depreciation subtracted may not even be worth the $1000. WHAT CAN YOU DO TO PROTECT YOURSELF FROM MOVING DAMAGE? Of course, talk to your homeowner’s insurance – and get all of the details. What, when, and how much they cover. Find a moving companies that offer full replacement coverage for the instances that your insurance agency will not cover moving damage. There are only a handful of moving companies that offer full replacement moving coverage. And only a few of those offer coverage at a reasonable rate. 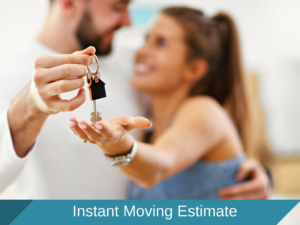 Compare moving estimates including coverage rates. 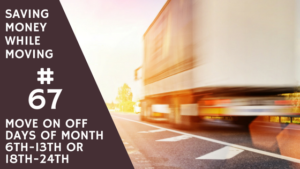 Many van lines full replacement value coverage rates are so high – over $1000 for an interstate move which is usually what their deductible is! In which case there would have to be a major issue in which your homeowner’s insurance would kick in. The best moving companies will allow you to choose coverage when they arrive at your place- not beforehand. 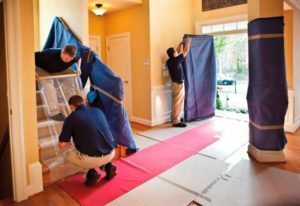 The movers that make you choose beforehand will most definitely have two types of moving crews – the customers who choose coverage will get the good crew. The ones who don’t opt for coverage will be be covered only at the $.60/lb so you can only hope for the best. Always check moving company reviews from verified sources – they can shed light on how moving companies are handling damage. 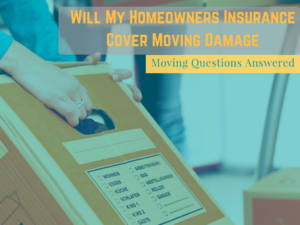 If there is damage during a move, your moving company will most likely send you through their claims company which is a lengthy process – you won’t see any compensation for 3 months or so. Your best bet is to offer a reasonable amount for your moving company to credit back to you – it can save a lot of time on both ends.